One of the series of military radar sightings that took place in and around the Korean War zone over a period of fifteen months from January 1951 to April 1952. 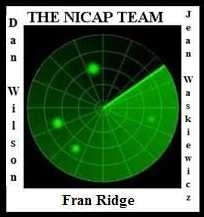 These cases involved just about every type of radar sighting from single-radar contact with a UFO to multiple-radar visual contacts both in the air and on board naval vessels. Some twenty-four cases were involved and according to Air Intelligence Information Reports in the Project Blue Book files, "The majority of the reports remain unexplained from the limited information available." These reports provide some of the most interesting reading in the Blue Book files.